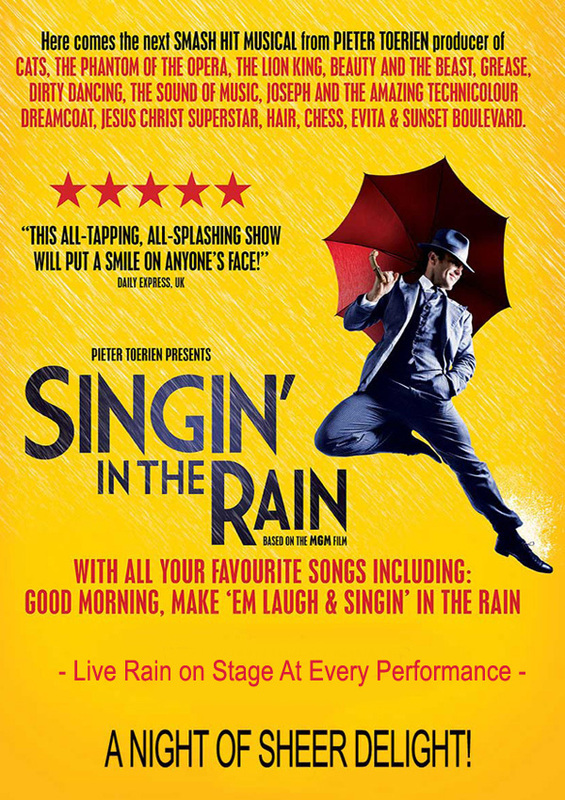 Making a splash in South Africa this year, Pieter Toerien proudly presents SINGIN’ IN THE RAIN, based on the MGM film. 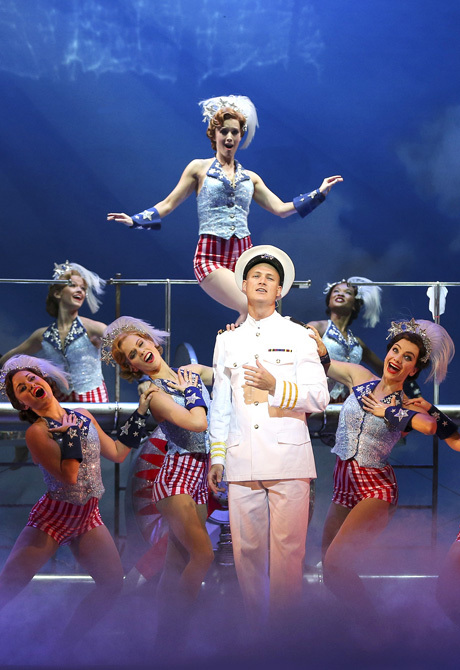 With all the incredible choreography, buoyant songs and witty wisecracks of the original. Plus fantastic costumes, awesome ‘triple threat’* performers and live rain on stage at every performance! 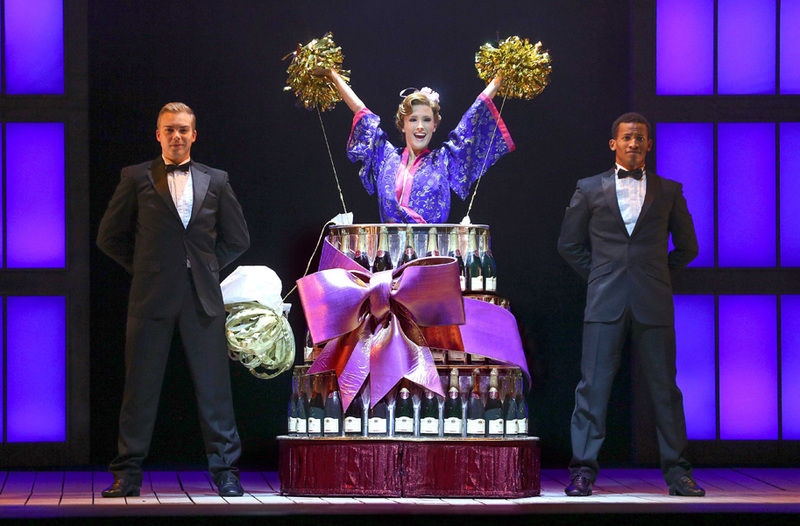 Starring Grant Almirall (Frankie Vallie in Jersey Boys) as Don Lockwood | Bethany Dickson (Grease, The Sound of Music) as Kathy Selden | Steven Van Wyk (The Sound of Music) as Cosmo Brown. Splash Zone Weather Warning: There is a strong chance of showers and getting wet in the first 3 rows (A – C) of the stalls, although patrons in these rows will each be given a rain poncho. 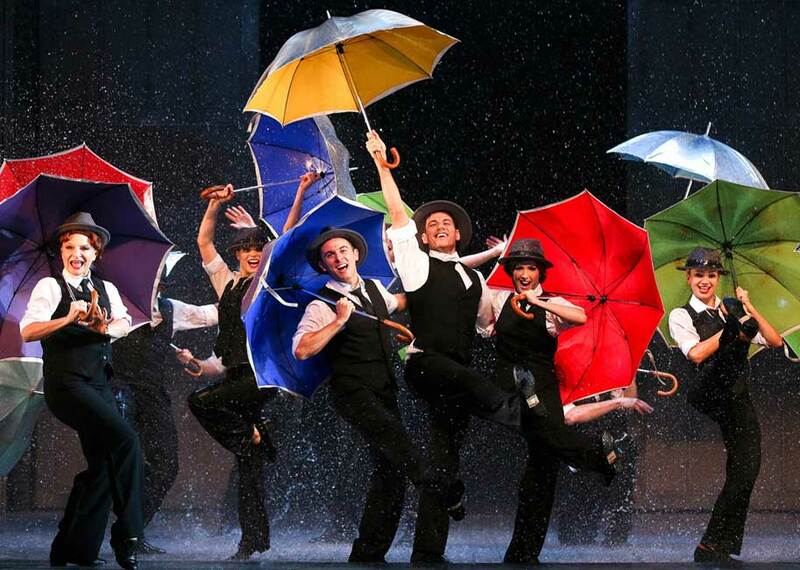 Be part of the action and make SINGIN’ IN THE RAIN your summer cool-down place! * A ‘triple threat’ performer excels at singing, acting and dancing. 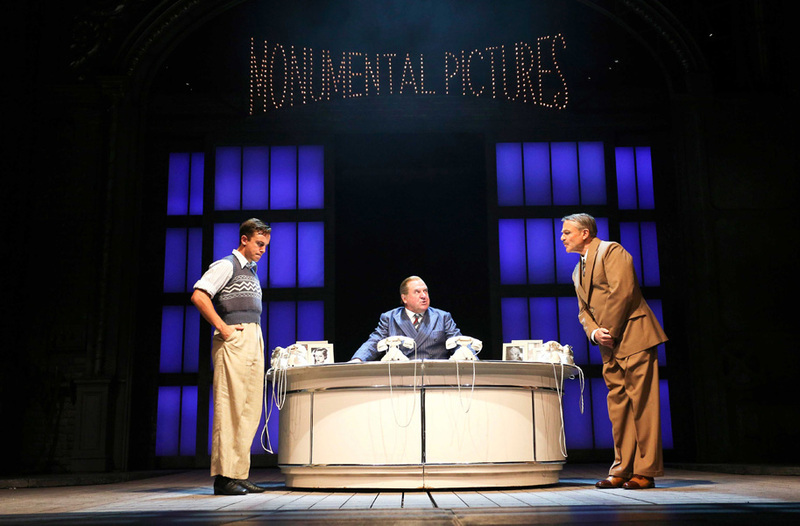 Adapted from the movie of the same name, this highly acclaimed, brand-new production is set in Hollywood in the waning days of the silent screen era. It focuses on romantic lead Don Lockwood, his sidekick Cosmo Brown, aspiring actress Kathy Selden, and Lockwood’s leading lady Lina Lamont, whose less-than-dulcet vocal tones make her an unlikely candidate for stardom in talking pictures. The iconic, jaw-dropping choreography of the movie is flawlessly recreated. 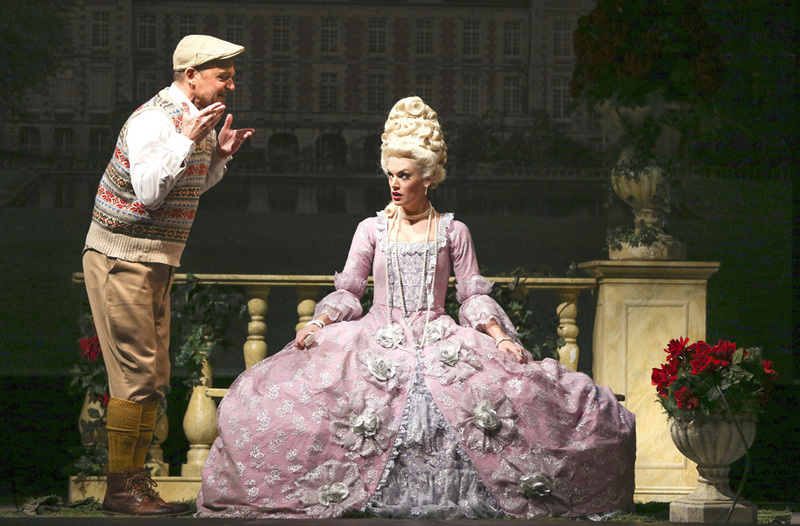 The sets and costumes are gorgeous. The performers are ‘triple threats’. 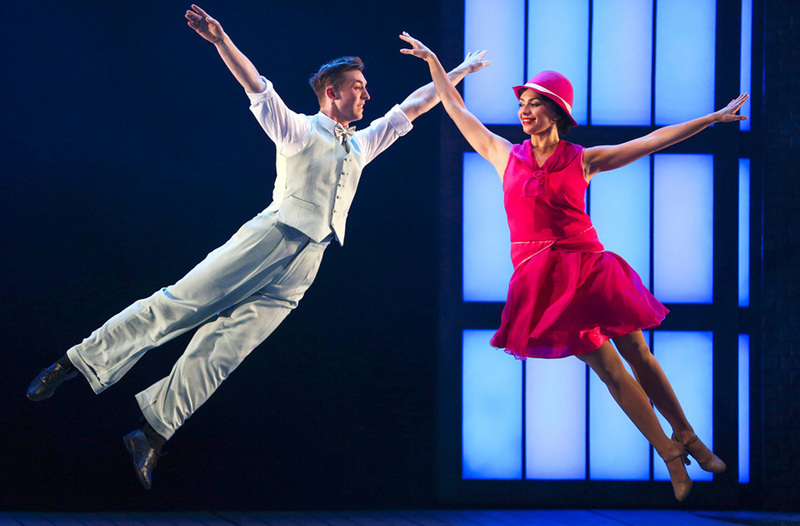 Those catchy songs that we know are all there – ‘You Stepped Out Of A Dream’’, Make ‘Em Laugh’, ‘Moses Supposes’, ‘You Are My Lucky Star’, ‘Good Morning Good Morning’ and of course, the signature ‘Singin’ In The Rain’. It’s packed full of the charm, romance, comedy and Tinsel Town glamour of one of the world’s best-loved movies. 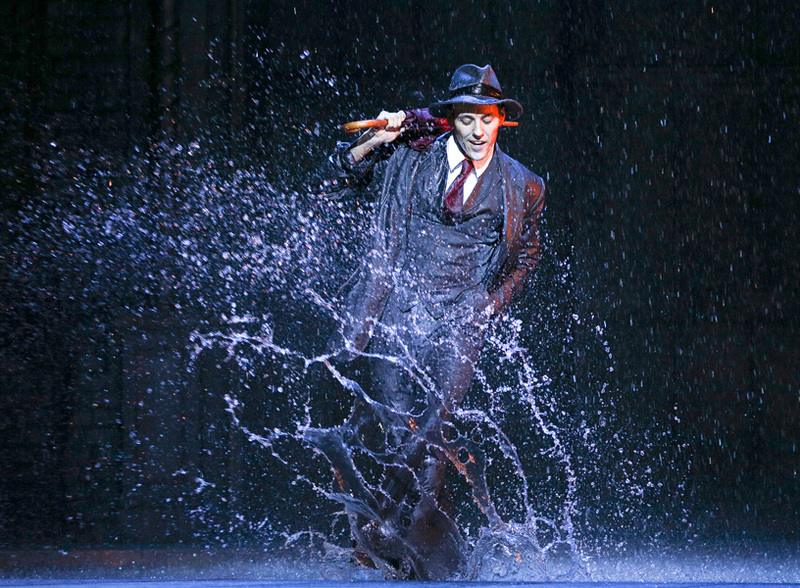 And it rains on stage … as well as in the first three rows! A knock-’em-dead MUST SEE musical!